In a first, hospital chain Manipal Hospitals has adopted IBM watson cognitive computing platform for improving and offering individualised cancer care for patients, the IBM announced on Wednesday. Developed in collaboration with 130-year-old Memorial Sloan Kettering Cancer Centre, Watson for Oncology is trained in analysing data to identify evidence based treatment options. With a knowledge base of 15 million medical pages, 200 medical text books and 300 medical journals, Watson for Oncology employs machine learning ability to continuously learn about Oncology over time. 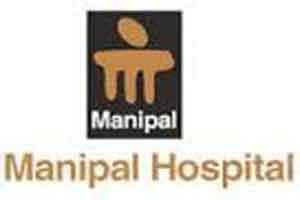 “This engagement (With Manipal Hospitals) represents a major step in the transformation of healthcare in India. With IBM Watson we are bringing cognitive computing to the healthcare ecosystem to help deliver greater value to patients,” said Vanitha Narayanan, MD, AIBMA India, in a statement. In India, one million cancer cases are diagnosed every year while it claims 6,80,000 lives every year making it the second leading cause of death.